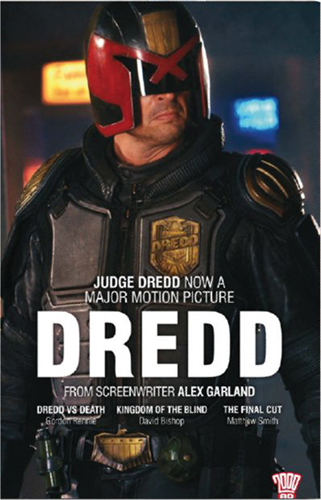 The world keeps turning and Judge Dredd marches on reliably with no signs of abating. The chief virtue of Judge Dredd is its elasticity. The chinned lawman is often protagonist but equally functions as antagonist, supporting character and comic punchline. It’s this breadth of concept that has stopped the comic stagnating. The Fit for Purpose two-parter that begins this run is an odd beast. It continues the very slow-burn of establishing Judge Pin as an antagonist, but in truth nothing really happens here beyond the foregone conclusion of one of Dredd’s allies being exiled. I’m looking forward to the culmination of this plotline but these two instalments don’t really justify themselves as episodes on their own merits. The anchor of this run is the Flaws storyline, continuing the ongoing conflict between Dredd and the Sons of Booth. 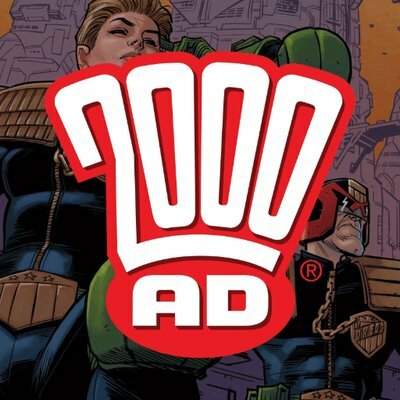 This is very much a trad narrative: it’s concerned with the social deterioration of Mega-City One, Dredd’s brutal efforts to maintain order, and is a pointed jab at contemporary American conservative values. Nans of Anarchy is a charming and lightly humorous two-parter, and there’s a smattering of comedic one-shots that contribute to the feeling that Mega-City One is an expansive world with plenty of menial problems alongside its terrorist conspiracies. All told, evidence of why this series has such staying power. This series represents a much needed degree of elaboration on one of 2000AD’s core properties. The war on Nu Earth was first seen in Rogue Trooper but it wasn’t until this series began that we got a proper look at the at-one-time faceless and underdeveloped adversaries of that strip. And frankly I find this material far more compelling. On top of this, so much about the series reeks of effort. This run plays out satisfyingly on an episode-by-episode basis and in the overall plot of the run. The art and colour work by Simon Coleby and Len O’Grady, respectively, is immaculate. It’s dark, and burnt, and scarred, and grungy. At once embodying some of 2000AD’s core appeal whilst also showing the anthology can grow beyond the narrow focus of some of its classic series. Dan Abnett’s Sinister Dexter is a simple pleasure at its core. Two chummy hitmen bicker with each other and shoot things. This setup has been refined since a reboot saw the characters, in-universe, wiped from conscious existence and thus streamlined their backstory. My favourite episode of this run was the first, The Salad of Bad Café, where the two characters simply sit in a diner discussing their place in the world. It adds a degree of depth sometimes lacking in their more sardonic or action-packed adventures. Steve Yeowell’s artwork goes through ups and downs throughout this run. His jaunty figures and bombastic composition are good at conveying action but all too often the setting is a generic backdrop (if it is not simply abandoned for a matte panel). As a result, the city of Downlode doesn’t have much of an identity or tone. Yeowell’s talents are abundant in the last story – cracking aircraft art – but these are undermined by some deeply questionable production decisions. The panels are overlaid with perfunctory captions rendered in a terrible all-Caps serif font, the chapter titling is in Bold Arial, and both jar with the speech bubbles. It’s a pity but elements of this run feel genuinely rushed. Regrettably Anderson represents the nadir of this batch of stories. Little of Emma Beeby’s Undertow storyline shows much forethought or planning. It resolves in a series of poorly set-up twists on the basis of characters essentially announcing ‘But what is really happening is…!’ Characters conclude their development on an arbitrary basis – if they have any real development at all, as is not the case for rookie Judge Flowers. Information is parsed out awkwardly between conversations that feel like they are filled with non-sequiturs and the art that does not keep track of the setting well. A disappointment. This might be a tad heretical but I have never been 100% won over by Carlos Ezquerra’s art style. I feel something about the thicker blotchy linework makes everything look as though it has the wrong texture. Having said this, his composition and very natural posing makes any of his comics read incredibly well. Coupled with the more cartoonish aspect, the world of Strontium Dog is able to nicely reconcile the eclectic settings and creatures that appear in its panels. 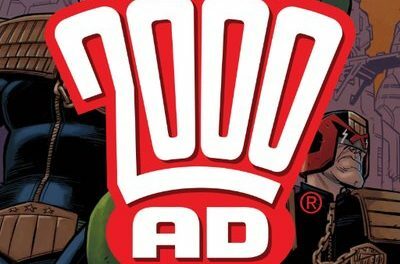 The latest storyline The Son shows many of the virtues prevalent in the best of 2000AD’s longest strips. It calls back to the lengthy history of the characters to further their development and show how far they have come, but it does not use this as a barrier for entry. The reader is given adequate context to appreciate the presented narrative arc on its own rights. In this case, Johnny Alpha ends up taking the son of an old comrade out on a mission. 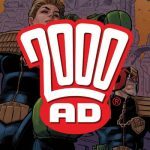 It’s a simple plot with a limited scope that provides a good crash course in the world of mutant and alien bounty hunters for new readers, whilst building on the continuity to the satisfaction of long-standing ones.